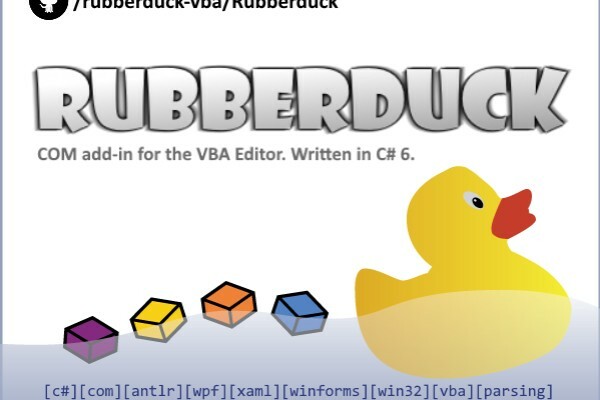 Rubberduck is an open-source VBIDE add-in project aiming to modernize the Visual Basic Editor by adding features such as code inspections, refactorings, unit testing, source control, indentation, and more - for free. Contributors are volunteering their time and efforts, and so far the only way users could thank them for their impressive hard work has been to "star" the project's GitHub repository ( https://github.com/rubberduck-vba/Rubberduck), and/or email or tweet to project managers their appreciation. 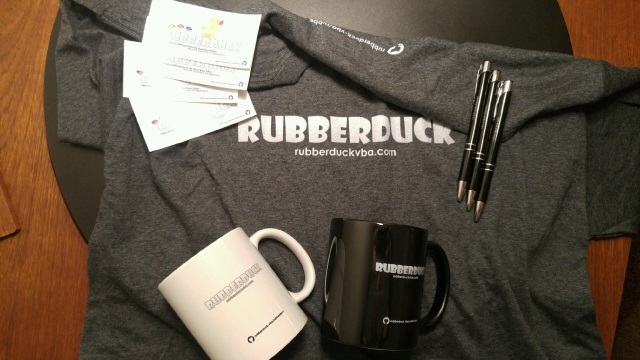 As the owner of the Rubberduck project, I wish to raise a little bit of money so that I can give something more concrete to contributors - tees, mugs, hats, stickers, actual rubber duckies, keychains, etc. A little "thank you!" package to express gratitude (mine and that of our users) to these precious people that take their own precious time to help bring Rubberduck where it wants to be: a de-facto essential tool every VBA programmer needs to have. I've disabled donations for now, since my goal isn't to make money with this - and I'm pretty much breaking even, merchandise *and* international shipping are paid for! On behalf of the entire Rubberduck dev team, thanks!